Do you want to know what I want to know? I’d like to know how it’s even possible for my belly to get any bigger. I’m curious how it is that 1-2 more pounds of baby is going to fit inside of me. That’s quite the belly I’m sporting these days, no? And yet, I’ve barely felt a contraction. I have cramps, which I learned at last week’s appointment is a small version of contractions. So I’m okay with the cramps now that I know this. Before I thought of them as a nuisance. Sometimes I wonder if I’ll miss the real thing, just like I wondered if I’d miss quickening. But I have been assured by both doctors and mothers that you can not miss contractions. You will know it when it happens. Because of my lack of contractions, it is my personal theory that this little baby is not coming early or even on time. This kid is happy and cozy and probably not coming until forced. But Baby A, your dad and I welcome you to prove us wrong. With very, very open arms. 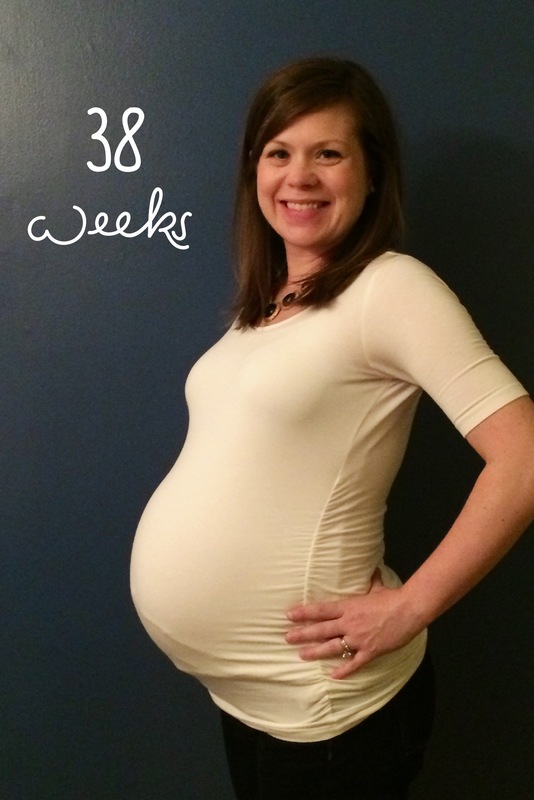 This entry was posted in Baby A, weekly bump by Sarah. Bookmark the permalink.